Welcome to Banglalink 23 TK Recharge Special Call Rate Offer. 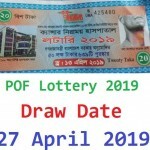 All the Banglalink Connection Users are eligible to enjoy 25Paisa/Minute any Banglalink to Banglalink Number and 60Paisa/Minute any Operator Number by Recharging 23 Taka. 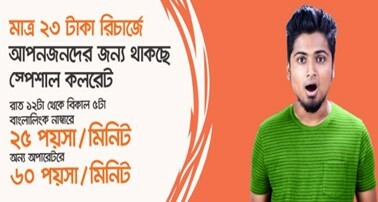 If you are Banglalink Connection users and want to activate BL 23 TK Recharge Offer, First check the Offer Terms & Condition. To activate Banglalink Special Call Rate Offer, Customers need to Recharge exact 23 Taka. Customers can use this Offer From 12 AM to 5 PM. The Customers can avail the offer after migrating to other packages. 10 second pulse will be applicable. Thanks for staying with us a long time and visiting Banglalink 23 TK Recharge Special Call Rate Offer article. If you have any confusion or question about the BL 23 TK Recharge Offer, Just comment here. We reply as soon as possible.